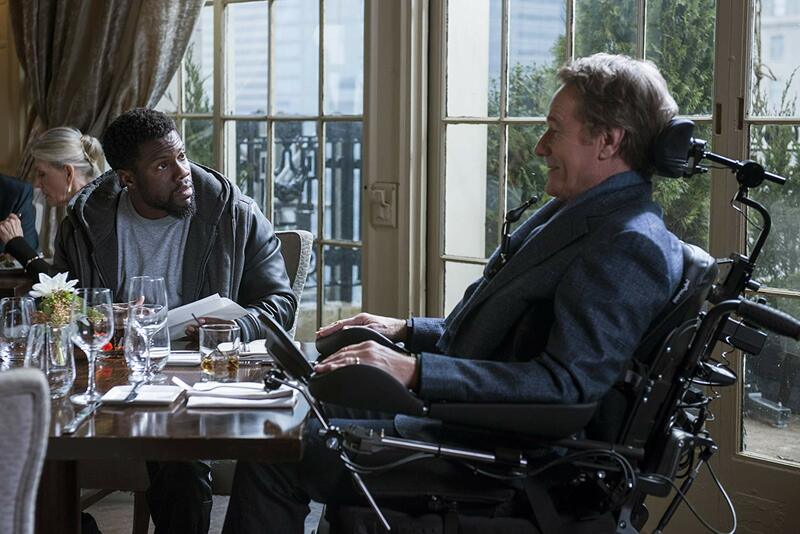 Simple, hopeful, and surprisingly gentle, The Upside’s recipe for success rests on the coattails of its two leading actors and their charming chemistry. Granted, this movie does have some rather glaring issues: bits of dialogue are seriously questionable, some scenes get drowned out by a melodramatic score, and the film’s structure just feels off. But the movie has steady pacing, and most importantly, an underlying sense of sincerity, depicting a story about how we humans need one another. How the able-bodied can serve as vicarious vessels for the physically disabled, how relationships require trust and stability, and how empathy can teach a vital lesson in gracious art of humility. 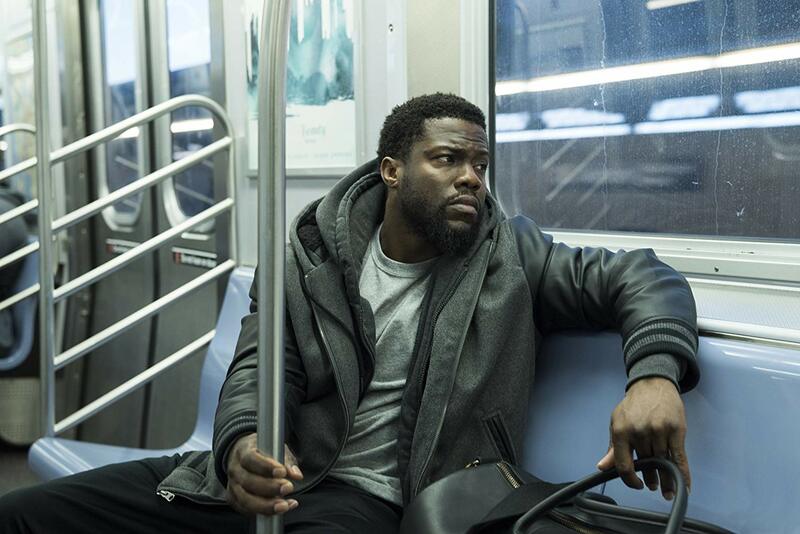 Dell (Kevin Hart, solid in his most restrained role yet) needs a job, or at least verified proof for his parole officer that he’s looking for work. Recently out of prison, he can’t pay Latrice (Aja Naomi King) the months of child support he owes and his son Anthony (Jahi Di’Allo Winston) wants nothing to do with his old man. So it makes sense that Dell feels demoralized, defeated, practically apathetic. A misunderstanding about a janitorial job leads him to the building’s penthouse, surrounded by applicants for a caretaker position, which is where Dell meets the uber-wealthy quadriplegic Phillip Lacasse (Bryan Cranston) and his assistant Yvonne (Nicole Kidman). Phillip wants to hire the unqualified Dell, mostly because he sees it as a quicker path to ending his miserable existence. Dell takes the live-in gig purely for the paycheck. They’re an accidental odd couple married out of absolute necessity. 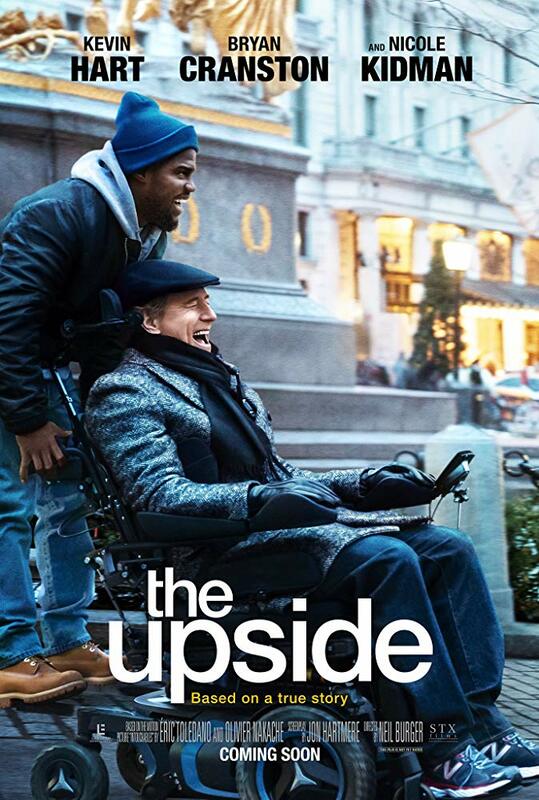 The Upside is based on a true story and is a closely mirrored remake of the 2011 French movie The Intouchables, which I admittedly still prefer to this American version. It’s a better crafted piece of filmmaking. And yet director Neil Burger’s take on the material still has the same fish-out-of-water comedic sensibilities and anguished drama, which oddly enough reminded me of the Bradley Cooper film Burnt. Both are deeply flawed, overly ambitious, and simply do too much. Having said that, they’re both passionate and at times deeply invested portraits of a certain way of life, serving as templates for understanding dissimilar individuals who seem worlds apart. I tend to forgive films more easily when their stories and their truths are transparent and full on display for all to see. The Upside wears its heart on its sleeve to great effect. Unlike the abhorrent 2016 film The Fundamentals of Caring and its disingenuous disposition, The Upside clearly comprehends the complex, tug of war relationship between patient and caretaker. The hardships, the laughs, the sparks of a budding friendship. 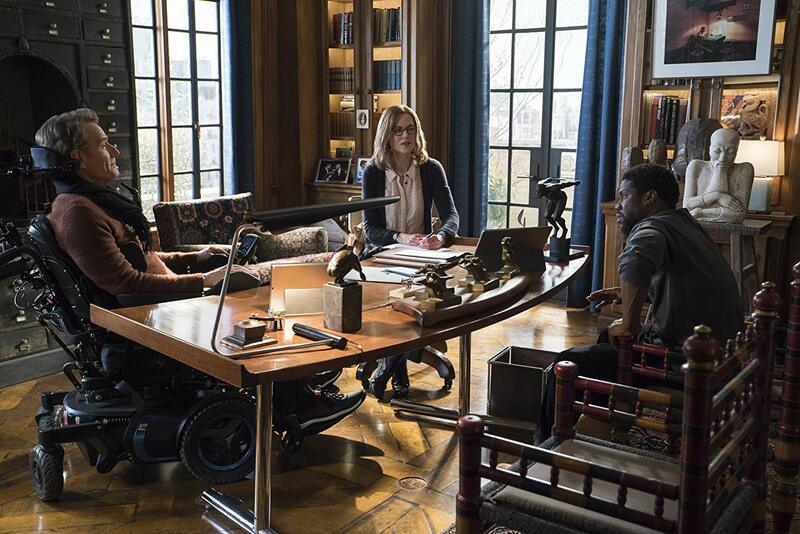 In one of a few truly great scenes, Dell hops onto the back of Phillip’s newly souped-up motorized wheelchair. During my freshman year of college I was a caretaker for a very dear friend of mine. I slowly gained his trust and his faith, and eventually, was granted permission to hold on for a short ride. I’m not sure people will understand the gravity and the importance of this scene. Phillip essentially allows Dell – a recent stranger – to latch on for what is the equivalent of a piggy back ride. It helps Dell to see the world through Phillip’s perspective and grants this disabled man the agency to be someone of importance and value. The Upside sure has a few big bumps along the way, but it’s such an enjoyable, funny, much appreciated depiction of found common ground that you happily absorb the thuds. After all, they’re part of the journey.